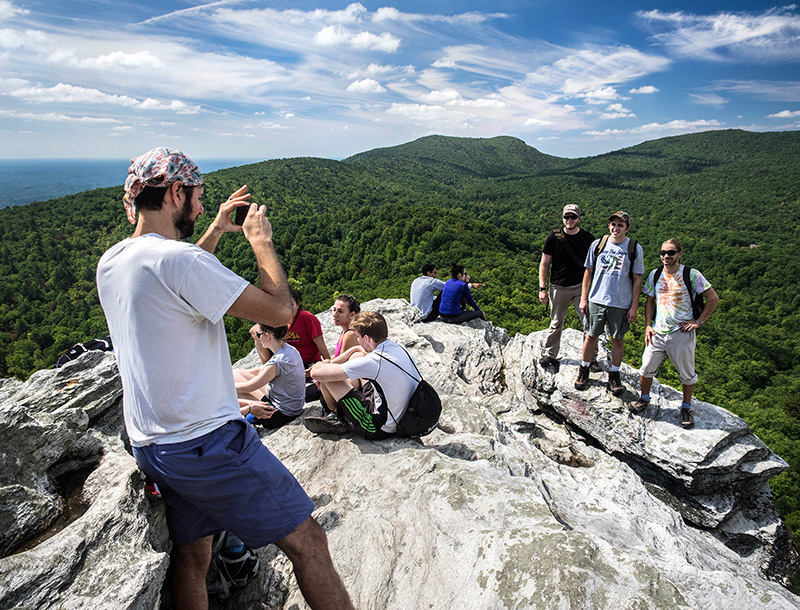 The Hanging Rock outcrop was the last peak for the challenge and offered a chance to rest and enjoy the view. At times it was not so much a hike as a parade along the stony trails of Hanging Rock State Park Saturday. 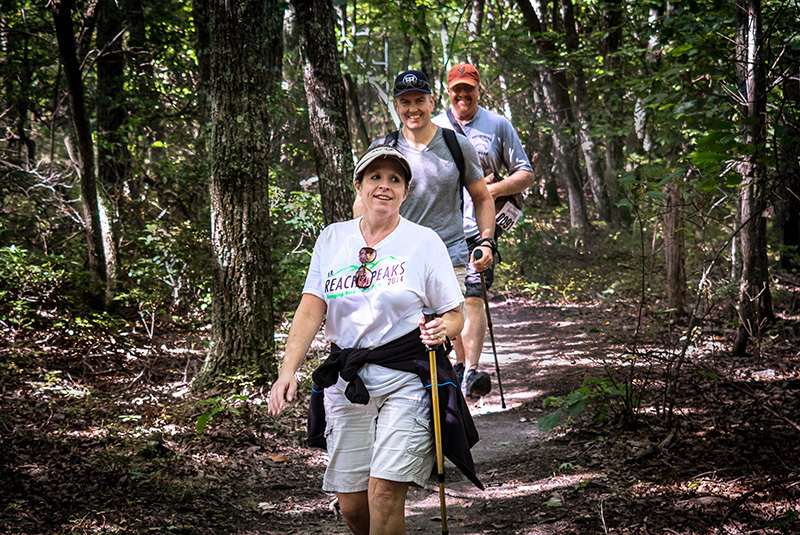 In only its second year, the park’s Reach the Peaks event drew more than 400 registered hikers who accepted the challenge to crest five named peaks on an 11-mile trek. The event was successful beyond the expectations of the Stokes County Arts Council and the Friends of Sauratown Mountains, the primary sponsors. The 11-mile route included five named peaks. Stunning September weather, free music and lunch for registered hikers also added appeal. 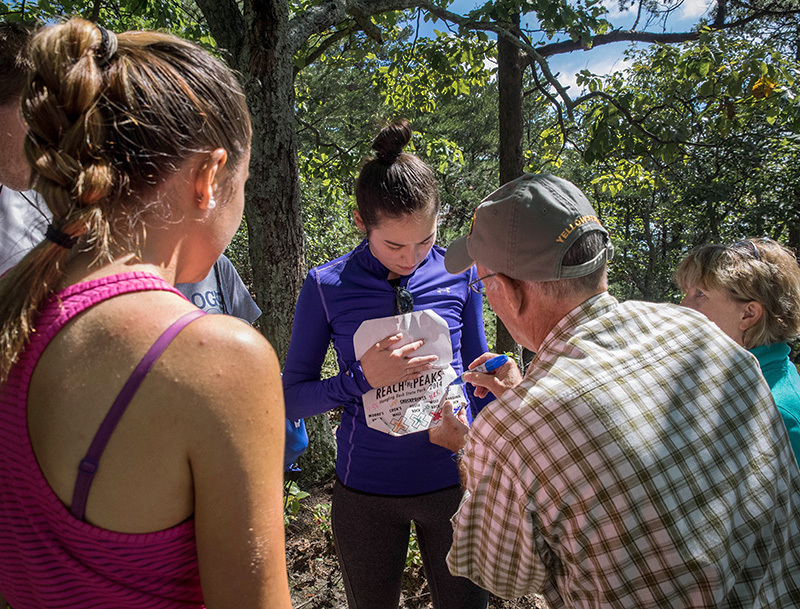 While some hikers strode at record pace across the route – and some ran – the majority went at a more leisurely pace and took a few moments to enjoy the scenery at Moore’s Knob, Cook’s Wall, House Rock, Wolf Rock and Hanging Rock. Volunteers at each of the peaks marked entry cards with arrival times. At mid-day, enough space to rest tired legs was at a premium at the end point, Hanging Rock’s rough ledges, and the namesake peak retained a festive atmosphere for hours. Riddlebarger said area business sponsors are being attracted to the event, and the long-term effect should benefit the community. Volunteers marked entry cards and recorded times. 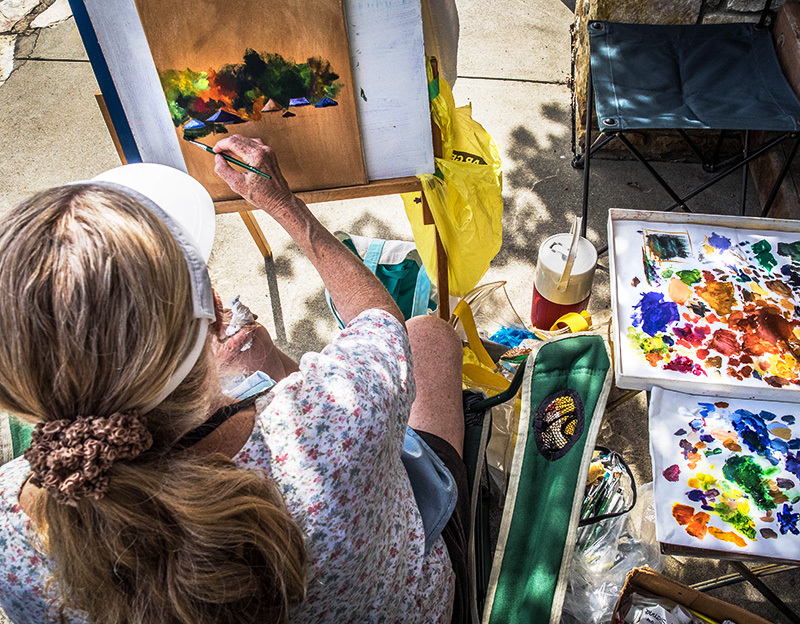 Members of the Stokes County Arts Council were on hand creating paintings of the park. Rangers reporting again on fall color as it blankets N.C.
North Carolina's state parks system is dedicated to conservation of natural resources, to outdoor recreation and environmental education. Managed by the N.C. Division of Parks and Recreation, it encompasses 41 state parks and state recreation areas, as well as 33 undeveloped conservation areas, ranging from mountains to piedmont to coast.